More than 2,000 companies descended to Indianapolis for North America's largest work truck event-The Work Truck Show 2019 hosted by NTEA. Early March the Indiana Convention Center hosted thousands of visitors who flocked the show to view the latest equipment, products and technology companies have to offer in the truck equipment sphere. As the winter begins to creep up on us, you might start thinking about expanding your snow removal team with a few more employees for the upcoming season. If you’re lucky you might find some seasoned professionals to help you out, but most likely you’ll end up with a crew that’s new to the snow and ice removal game. They’ve got the spirit and attitude, but they might lack some of the basic knowledge that you want all of your rookies to have before sending them out for their first jobs. No matter what, they'll have to start somewhere. Here are some helpful tips that you can use to train your new employees and create the best snow and ice removal team your contractors have ever seen. 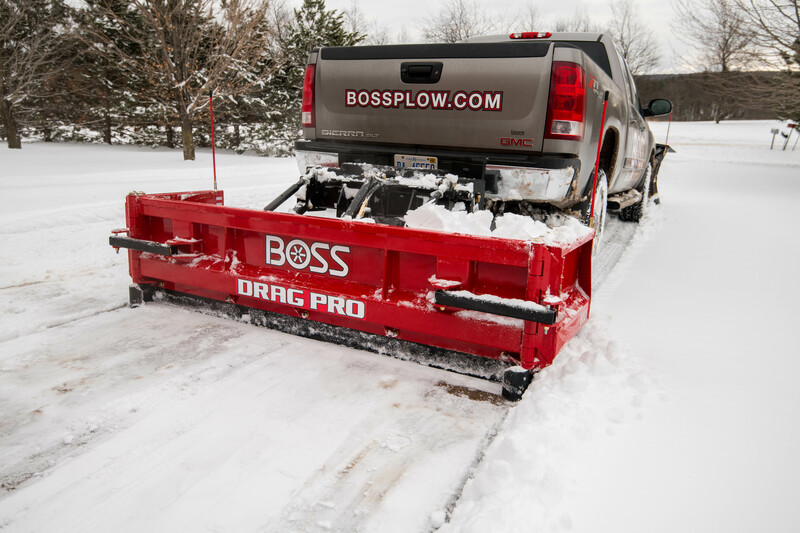 The new BOSS DRAG PRO™ brings all of the power and productivity of BOSS plows to the back of your truck. 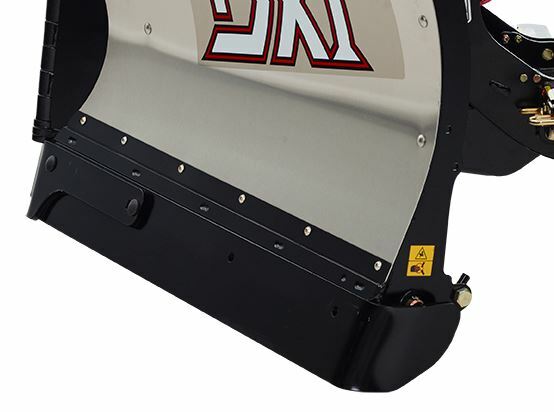 The DRAG PRO™ mounts from the rear, allowing you to pull snow from the back while driving. 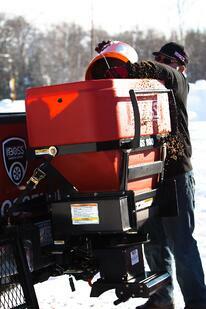 Back into driveways, drop the plow, and pull forward – save time. Expand the wings in a parking lot, and take more snow with each pass than you’ve ever been able to with a ¾ ton truck. 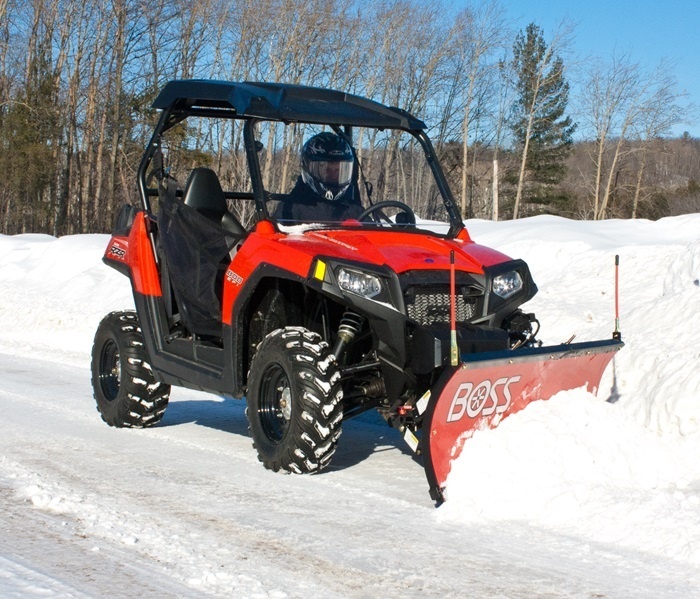 The weight of the rear of the vehicle means the Drag Pro scrapes more cleanly and efficiently than traditional plows, especially in wet snow. Pair with a BOSS vee, straight or EXT plow for the ultimate expanding plow rig, and a huge boost in productivity. 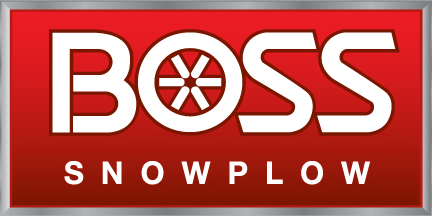 It’s an innovative, productivity-boosting tool from BOSS that’s built to BACK YOU UP. Available for 4WD, 3/4-Ton and 1-Ton vehicles. The concept of a curb guard might seem simple, but it is still a product that could potentially save you (or your crew) from having to invest extra money in fixing damages to your cutting edge, plow or curb. 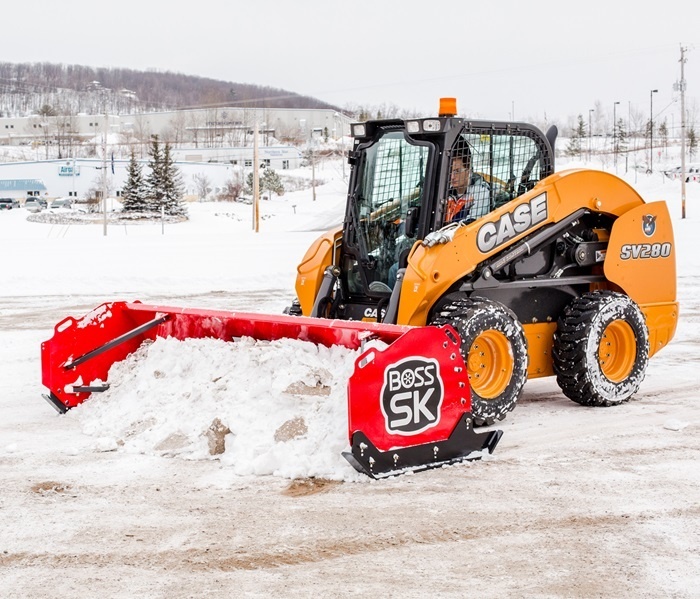 There are basic advantages to owning a curb guard for your plow, which consist of prolonging the use of your products before they need to be replaced. 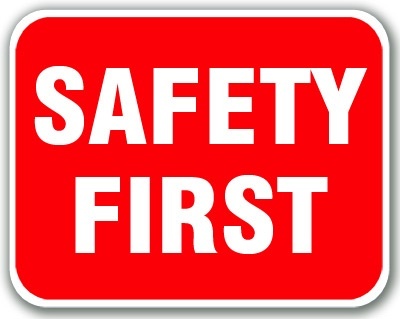 But there are also other advantages that you may not have previously considered. 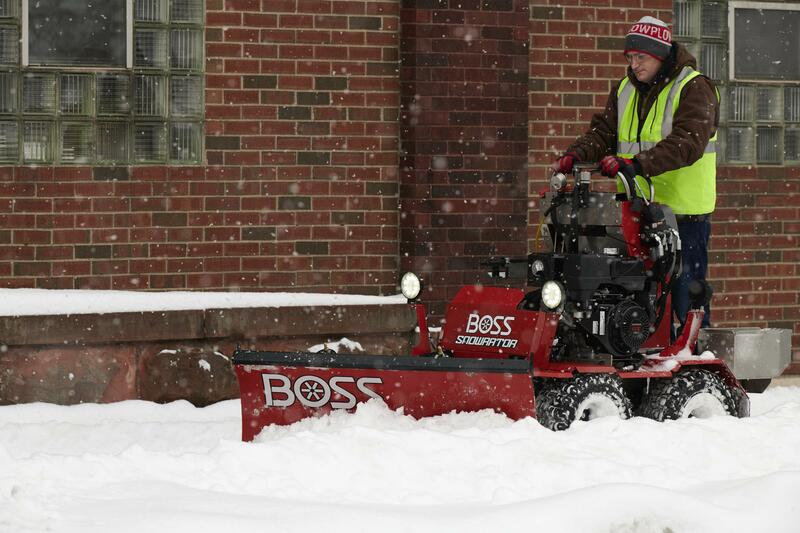 Winter is behind us, but as many seasoned snow and ice management professionals know, the snow business requires attention even during the summer months. Depending on your situation, this could mean getting an order for deicers in now. But first, you must determine what kind of deicer you require and how much of it. Your cutting edge is looking worn after restoring order in your community and you may be asking – should I replace with a urethane cutting edge or a steel cutting edge?